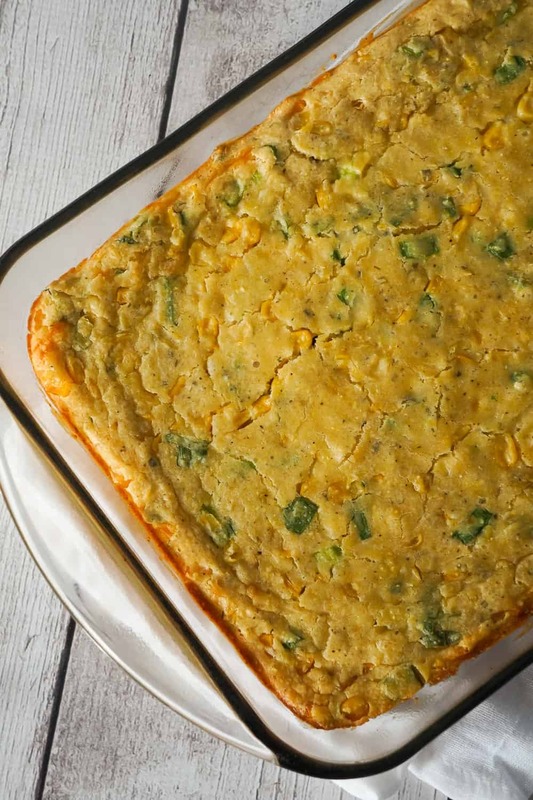 Corn Casserole with Cream Cheese is an easy side dish recipe perfect for holiday dinners and potlucks. 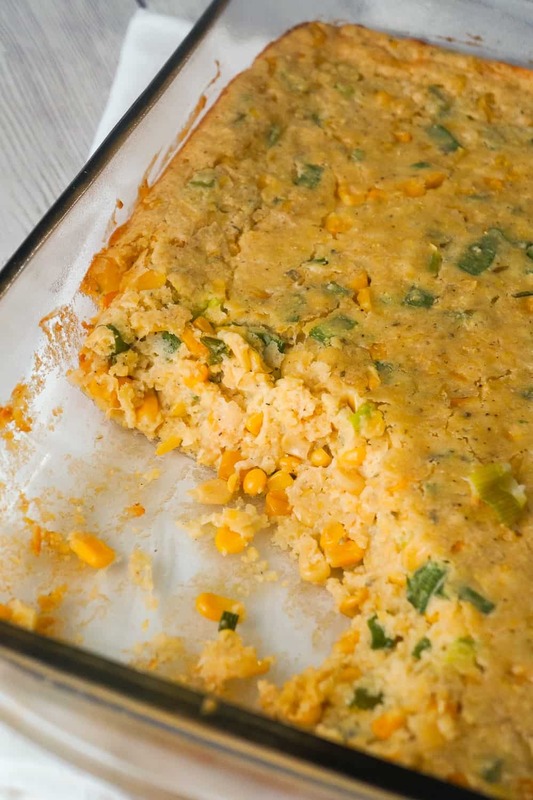 This cheesy corn casserole made with cornbread mix is loaded with green onions and Havarti cheese. 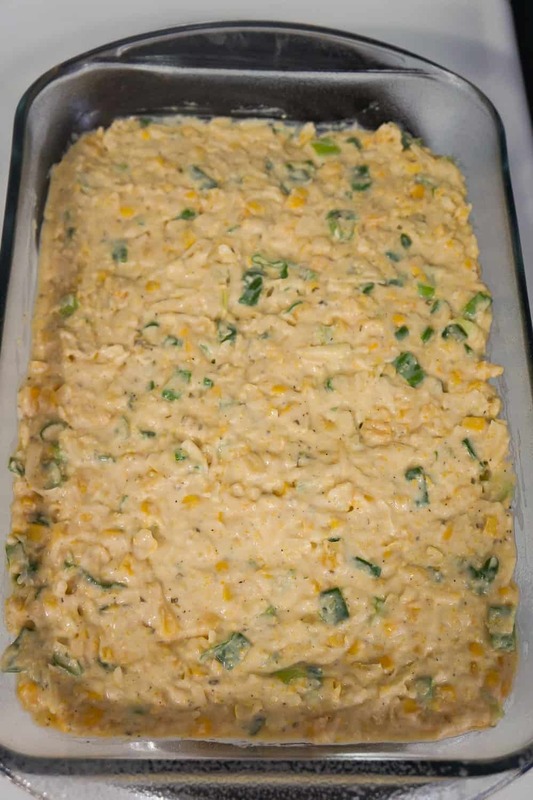 Watch the video to learn how to make Corn Casserole with Cream Cheese! 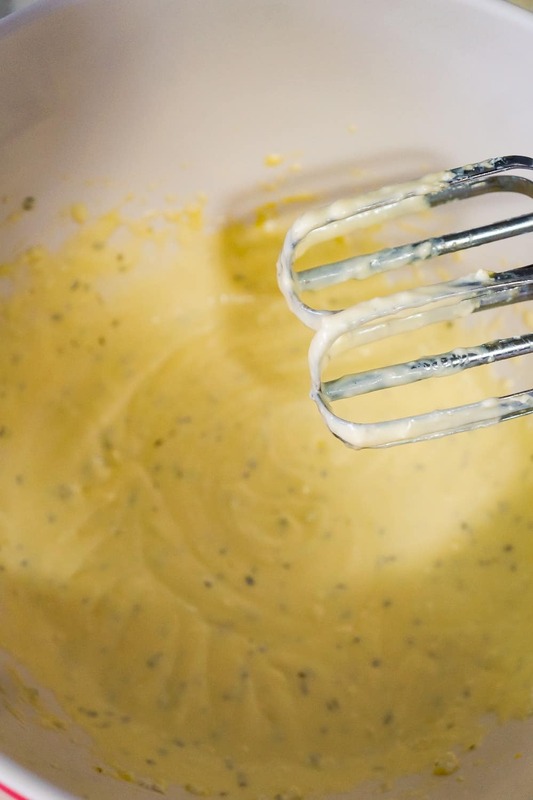 To make this side dish, I started by dumping some Chive flavoured Philadelphia Whipped Cream Cheese into a large mixing bowl, along with some eggs and melted butter. Then I used an electric mixer to combine all the ingredients until no lumps remained. I added some Bob’s Red Mill Cornbread Mix, salt, pepper and onion powder to the bowl. Then I continued mixing with the electric mixer until all of the ingredients were combined. I added a can of corn kernels and a can of creamed corn to the bowl. I also added some shredded Havarti cheese and chopped green onions. Then I stirred all of the ingredients together really well. Then I placed the dish in the oven and baked it until it was completely set and starting to brown across the top. 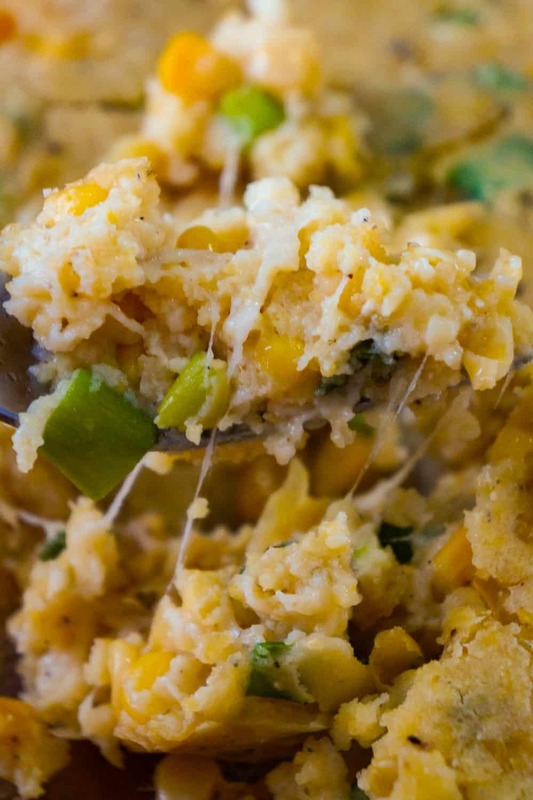 This cheesy corn casserole is packed with flavour and oozing melted cheese. 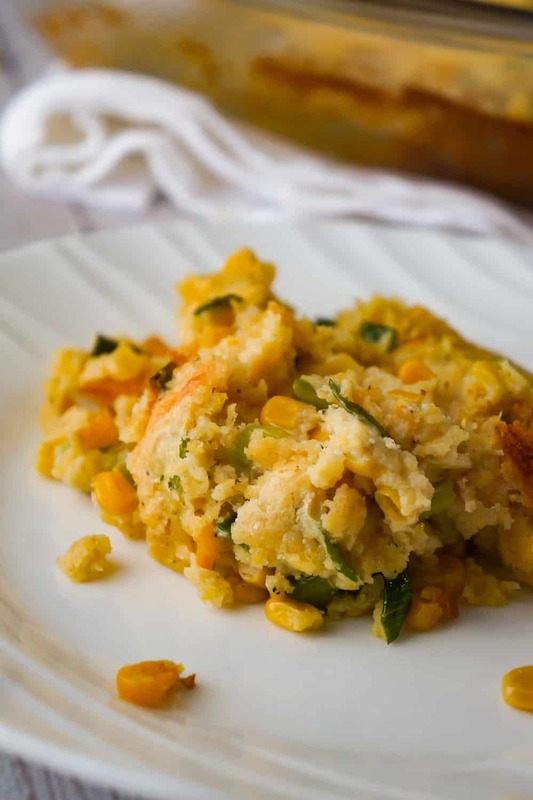 Serve this Corn Casserole with Cream Cheese at your next holiday dinner. 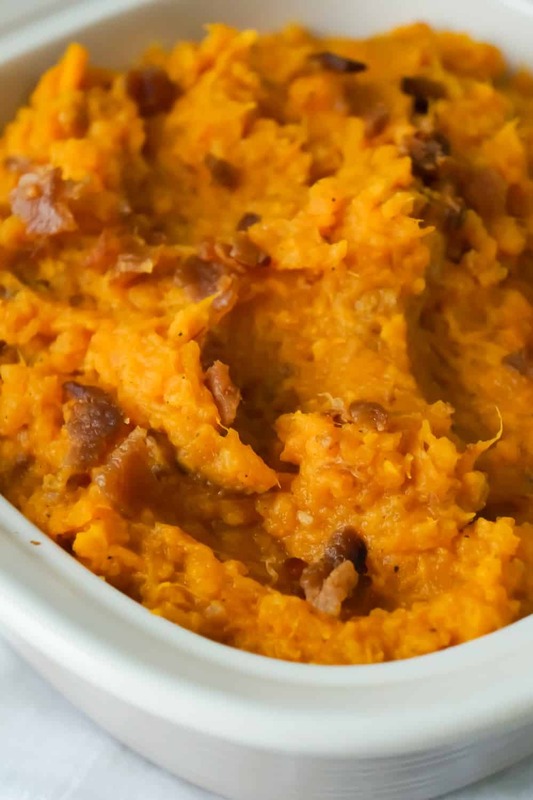 Another easy side dish recipe. 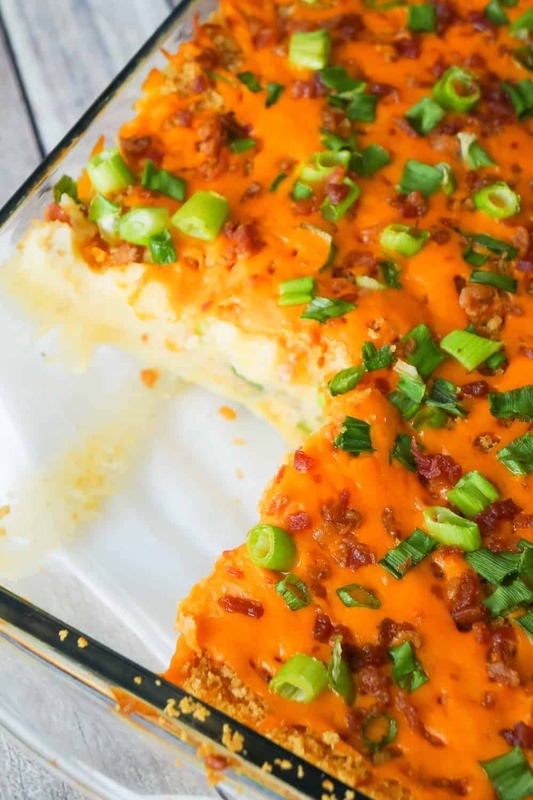 Check out this Loaded Mashed Potato Casserole! 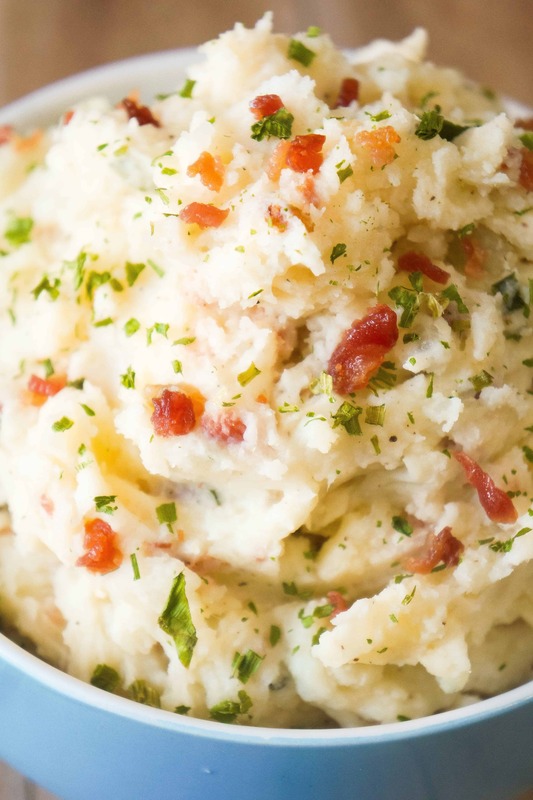 The Best Bacon Cream Cheese Mashed Potatoes! 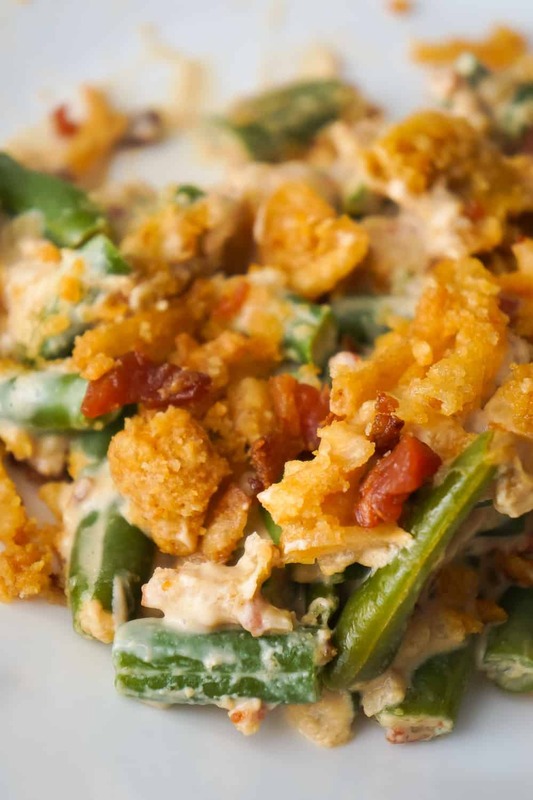 Be sure to also check out this Cream Cheese and Bacon Green Bean Casserole! Corn Casserole with Cream Cheese is an easy side dish recipe perfect for holiday dinners and potlucks. 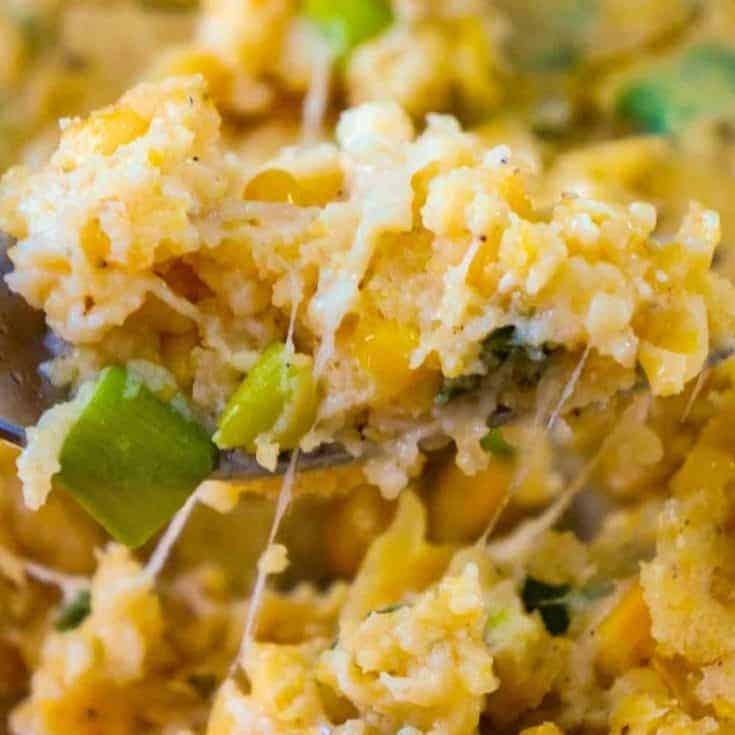 This cheesy corn casserole made with cornbread mix is loaded with green onions and Havarti cheese. 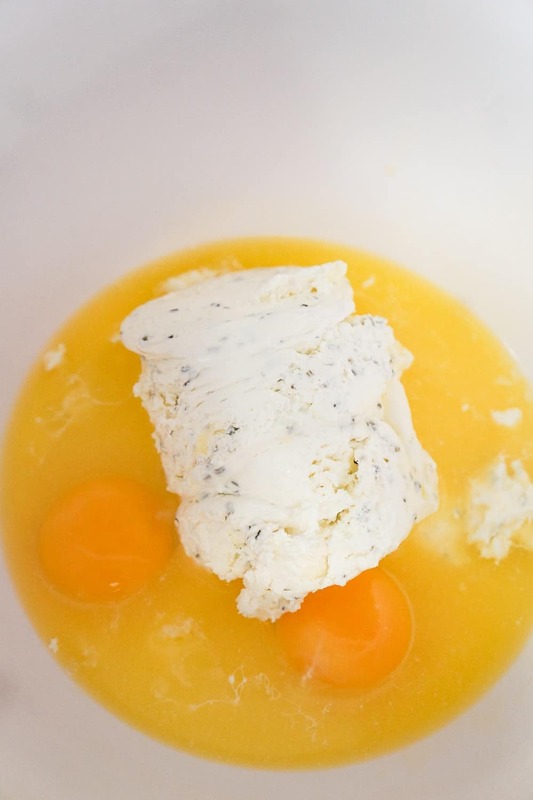 Dump cream cheese, eggs and melted butter into a large mixing bowl. 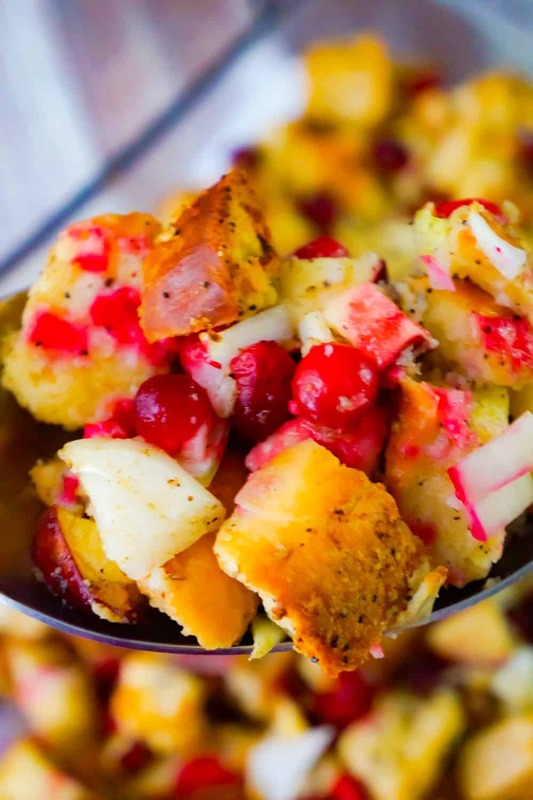 Mix with the ingredients with an electric mixer until no lumps remain. 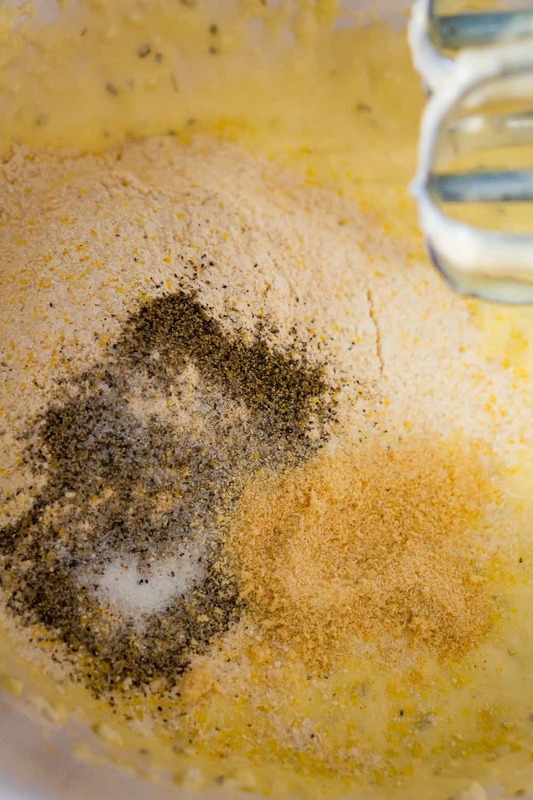 Add the cornbread mix, salt, pepper and onion powder to the mixing bowl. 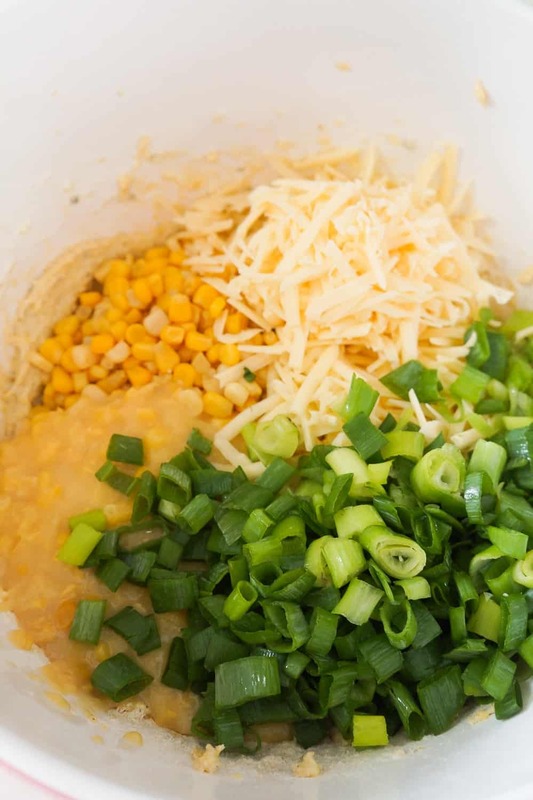 Add the cream style corn, canned corn, shredded cheese and chopped green onions to the bowl. Stir the ingredients together really well using a rubber spatula. Pour the mixture into a greased 9 x 13 inch baking dish and spread it out evenly. Place the dish in the oven and bake the casserole until the middle is no longer jiggly and it is starting to brown across the top. 42 - 45 minutes. 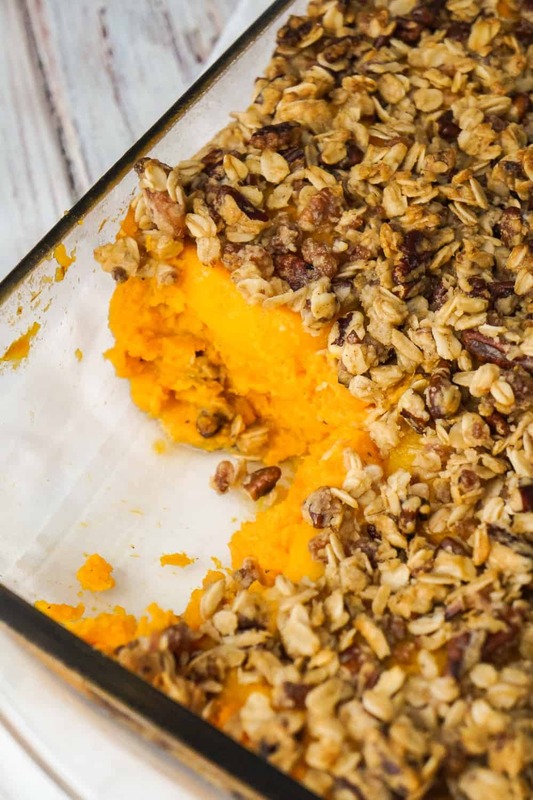 Remove the casserole from the oven and serve. Can’t rate, haven’t made it yet. I think I’d add a can of green chilies to the mix. That would take it to a new level! Do you drain the can of whole kernel corn?